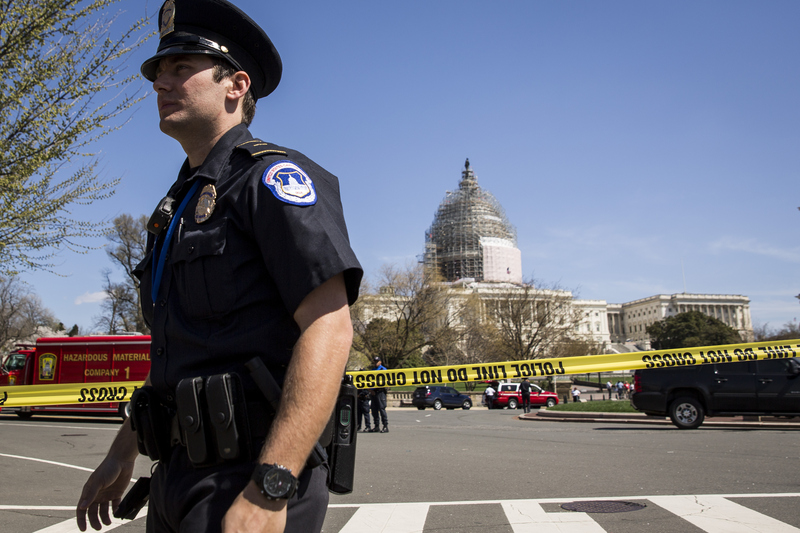 A suspicious package found near the Capitol building in Washington, D.C. Sunday evening turned out to be a pressure cooker, U.S. Capitol Police confirmed Monday. The Associated Press reported that Capitol police officers took notice of the strange package, which was located in an unoccupied car, while making their routine rounds around 5 p.m. Sunday. The car was reportedly parked on a street west of the Capitol, not far from where thousands gathered that same night for the annual PBS Memorial Day Concert. Once the officers saw the suspicious package, a bomb squad immediately conducted an investigation, police spokesperson Lt. Kimberly A. Schneider said in a statement. "Further investigation revealed a pressure cooker, and an odor of gasoline was detected," Schneider said. She added to The AP that the pressure cooker, which the bomb squad said was "suspicious in nature," was destroyed Sunday night along with other unnamed "items of concern." Authorities also located the vehicle's owner, who was identified by Capitol police as Israel Shimeles of Alexandria, Virginia. Shimeles has been arrested and charged with "operating after revocation," Schneider told the AP. All of this — including the destroying of the pressure cooker — reportedly took place during the PBS Memorial Day Concert, which brought thousands of spectators to the Capitol's West Lawn on Sunday. Gloria Estefan and recent American Idol winner Nick Fradiani were among the performers. According to the U.S. Capitol Police website, the concert had very strict security guidelines that barred people from carrying or possessing sealed packages, large boxes or duffel bags, as well as firearms, knives or blades, and "martial arts weapons." U.S. Capitol Police, after conducting a follow-up investigation, concluded that the pressure cooker was not a threat to the public. Of course, they weren't going to take any chances. After all, it's not unusual to use pressure cookers to make exploding devices, as was the case in the 2013 Boston Marathon bombings, which killed three people and injured more than 260 others. And considering some of the other federal security mishaps recently, it's probably better for Capitol Police to be safe than sorry. In April, a gyrocopter piloted by one person made an unauthorized landing on the Capitol's West Lawn, raising concerns about Capitol security both on the ground and in the air. The airspace over the Capitol is already heavily restricted, and most aircraft aren't allowed to fly over the Capitol or the White House. The gyrocopter pilot, Douglas Mark Hughes of Florida, was arrested. Hughes allegedly carried out the dangerous and illegal flight as a way to protest campaign finance. In the meantime, it challenged the seemingly tight control of the airspace over some of Washington's most secure buildings, particularly because the small aircraft reportedly went undetected by the North American Aerospace Defense Command (NORAD).